RCCG SUNDAY SCHOOL MANUAL LESSON 46: RAPTURE DESCRIBED – JULY 16th, 2017. 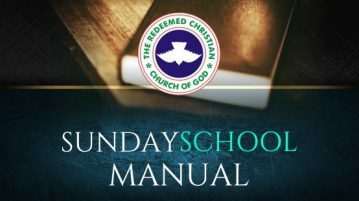 RCCG SUNDAY SCHOOL MANUAL LESSON 45: THE CHRISTIAN MISSIONARY – JULY 9th, 2017. RCCG SUNDAY SCHOOL MANUAL LESSON 44: THE PREACHER’S TOOL – JULY 2ND, 2017.